Affordable Housing and Mumbai’s Development Plan (2014–2034), video interview with Datta Iswalkar of Girni Kamgar Sangharsh Samiti (Mill Workers’ Association). Filmed for Hamara Shehar Vikas Niyojan, Mumbai. 1. Existing areas often face overcrowding of basic amenities when hundreds are shifted into an area. The new population influx must be accounted for within the ward through provision of basic amenity reservations. In this regard there has to be provisioning of government educational institutions within each R&R colony in proportion to the population and tenements constructed. Merely provisioning one educational reservation is not enough. 2. There has to be a reservation for a government hospital and health post with each R&R colony. 3. There must be provision of natural markets/ hawking zones within each R&R colony. There has been massive loss of livelihood in case of resettlement and most PAPs find it extremely difficult to sustain livelihoods post resettlement. Hawking within the colony to cater to the needs of residents thus becomes a major livelihood option. A secure livelihood space is thus a necessity. 4. There must be livelihood centres earmarked within each R&R colony. As stated above, livelihood is one of the major concerns of people displaced from their homes. Livelihood regeneration must be an integral part of R&R and a spatial reservation must be made for the same. 5. There must be solid waste sorting sheds. The waste generated from large colonies should be sorted at source – at present the condition of waste management in these colonies is appalling. 6. There has to be adequate provisioning of open spaces. Open spaces must be provisioned with the colony in proportion to the population and tenements constructed. 7. Community spaces must be provided. R&R colonies are places where communities from various parts of the city are made to live together – there is a need to reserve public community spaces to provide for community programmes and festivals. 8. Incentive FSI and TDR that leads to creation of high density R&R housing must be scrapped. Resettlement, if necessary must be provisioned for within a 5 km radius from the original site of habitat. 9. DCRs on light, ventilation, fire safety and space between buildings must not be compromised on within R&R colonies. These compromises have lead to R&R colonies being unsafe, inhabitable spaces. Women’s safety is at stake within these colonies. The Draft Development plan report admits that there is a serious crisis of affordable housing in the city. Despite this, the DP has done away with public housing reservations, except for government staff housing and R&R housing. The DP also fails to assess shortfalls and demand for affordable housing over 20 years. It also fails to evaluate the factors that affect affordability in housing. 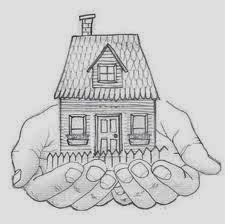 What follows is our suggestions and objections keeping in mind the question of affordable homes in Mumbai. 1. All lands that are currently occupied by slums must be declared lands reserved for “public housing” and the MCGM must acquire them for the purpose. 3. Redevelopment of slums based on monetization of land must not be permitted. Self-development on slum land, after being reserved for public housing must be encouraged. 4. Special DCRs for various housing types in the city must be made – chawls, site and services, self-built houses, gaothan houses, inner city fabrics, etc. The ELU mapped some different housing types in the city, but the PLU completely overlooks possibilities of conserving and improving the housing types and precincts in the city – many of which provide affordable habitats. Special DCRs or place based codes must be formulated to protect these. 5. Cap building heights for lands occupied by slums to 15 meters. Development rights awarded as incentives to developers produce un-liveable homes for the poor. 1.5 FSI is sufficent to provide 7.5 sqm per capita for all slum dwellers in the city for live and work. High FSI incentives only make slums areas more dense, and conditions worse. 6. Slums must not be allowed to redevelop to more than 500 dwelling units per hectare. The unit size for tenements created for sale must be capped at 45 sqm. The unit size for rehab must not be less than 30 sqm. 7. Rehabilitation units for slum dwellers must be in walk ups with the ground storey designed for commercial units, small industrial workshops and social infrastructure. 8. In Transit Oriented Development areas, tenement sizes must be limited to 40 sqm and parking must not be permitted. This will ensure affordable housing construction in TOD areas. 9. DCRs for RC and CR must be made such that they clarify how commercial activities may be integrated in residential areas, and vice-versa. Controls over percentage of commercial and residential floor space, the location of commercial activities within residential buildings and the relative sizes of commercial and residential units, etc. could be the basis for regulations. 10. Criteria for implementation and monitoring must be specified. Distribution of new housing stock among various social groups, consumption of existing and new stock, and success or failure of programs – all of these must be set up for 5 year monitoring and evaluation. 11. Vacant housing in the city must be monitored and taxed – and revenue generated must be used for up-gradation and improvement of self-built housing. 12. The 10% inclusionary housing must be increased to 30 % BUA of consumed FSI or 50% of units (which ever is more). considering the disparities, and the proportion of low income population in the city. The units must not be smaller than 30 sqm. 13. About half of the available vacant lands in the city must be reserved for public housing, and homes must be constructed on them by using 50% of land for housing layouts and rest for open spaces and social infrastructure. In the housing layouts, walk-ups with 60% ground coverage can be constructed with the ground storey reserved for workspaces and small amenities. These can also be delivered as ‘shell and service’ units, to be incrementally completed by dwellers. 14. In urban renewal in the inner city, the existing street structure and existing building height line at the street must be preserved (allowing only for maximum three additional storeys with minimum 5 meter offset from the street line). The buildings could be reconstructed as a continuous long building that wraps around the block, without street setbacks, with up to 75% ground coverage permissible. 15. For MHADA layouts, allow for reorganization of the buildings without adding any new apartments – cost of reconstruction can be financed by introducing commercial functions as small shops at the ground level that can be rented out by the society. The rest of the cost can be financed through low-interest loans. 16. The share reserved for mill workers housing should at least be increased to 10 percent instead to proposed 7.5 percent under DCR 11.4. The share between MCGM and Mill workers housing should be equal. 17. We welcome the decisions proposed in the draft development plan mentioned in 5.2 (c) – where the share of MCGM and MHADA under regulation no 11.4 will be as if the entire gross land will be redeveloped. We suggest that this provision should not be deleted in the Final DP. 18. The DP must have special provisions and reservations to create hostels for working men and women and migrants as an housing option for transient populations. 19. In housing projects, make the provision of amenities such as crèches, laundromats, welfare centres, etc. mandatory. 20. DCRs to ensure that inclusionary housing units are integrated within the regular developments, and not as separate blocks, must be made. The number of units must be increased to 50% of the total units produced, and these units must be allotted to applicants and PAPs by lottery, to ensure that neighbourhoods do not get ghettoised. 21. “Public housing” areas must be identified as a social infrastructure reservation, and benchmarks must be created for it. The 1964 DP reserved about 2.2 sqm / capita land for public housing. A minimum benchmark of 2.5 sqm / capita at every planning sector level must be introduced, and measures must be set up for their achievement.